Swift Locksmith Southampton for unrivaled quality, a friendly, reliable service and prices so competitive you can’t refuse, look no further. Swift Locksmith Southampton provide a comprehensive service for every manner of locks. Doors, safes, conservatory windows. 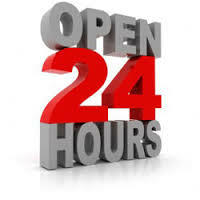 Contact us anytime of night or day for a fast solution to any lock problem. Any locksmith Southampton service would agree that high quality spare keys are a vital part of keeping your locks at home in good condition. Get in touch with our team today if you have any questions on key cutting and programming of keys, we’re happy to help and assist with your query, and of course we also provide a quick Southampton key cutting service. We stock only high quality trusted brands in the strongest type of material, which can be cut with precision. For a locksmith Southampton, our customers satisfaction is of high importance, and making sure the key work first time, every time is something we work by! A perfect key will turn smooth without any risk to the key breaking, or that it will damage the lock, and therefore it will also keep the longevity and integrity of your locking mechanism. So please come to us for your quality key cutting service, a swift and reliable locksmith Southampton service with years of industry knowledge and experience, and years of training as well as practice in perfecting the art of key cutting. If you have a custom lock, or specially digitally programmed key, don’t panic, give us a call, we can order most parts needed for customized locks and key programming. And should against all odds the job be one that we can’t complete, we will be able to point you in the direction of a locksmith Southampton professional who has the facility. When it comes to home security, something as seemingly obvious as effective security measures is key. What good is a home security system that doesn’t go off when there is an intruder, a CCTV camera pointing at an entrance with low risk, or additional security adding layers of inconvenience to your own daily routine? A locksmith Southampton security installer with years of experience, both in practice and in continuous training will be able to help you find the best home security solution for you. Making sure that it’s accurately positioned, providing applicable protection as well as something which is suitable to your life, habits and routine. A security locksmith Southampton who knows where your home security budget is best placed is what you can reach should you choose to get in touch. On top of that, the solutions offered are always made to be cost efficient, meaning that you will get the most up to date security, where it is mostly needed. So if you are one who is currently having concerns with regards to how secure you keep yourself, your family and your belongings at home. Please feel free to get in touch when you get a spare moment. Of course a locksmith Southampton provider who knows, will also be able to give you tips and pointers to who you can make your own day to day better when it comes to the security perspective. And with being an advocate for home security awareness, a good service will always make sure that you get the most up to date security news from us. So if you are unsure if you are properly protected at home and need expert advice from a locksmith Southampton provider, please don’t hesitate to call today! And if you are having thoughts on CCTV, please check this guide to help you get an understanding. With the current industry market flooded with different products and brands it may be difficult to know where you should go to find the quality and standards that you need to ensure that your keys are strong, lasting, and cut to fit. With a swift locksmith Southampton precision key cutter which you can find should you give us a call, you can leave quality assurance in the hands of an expert. There are countless reasons to get your spare keys cut with someone who knows the importance of making sure that the key turn seamlessly and smooth every time, regardless of how often it will be used. 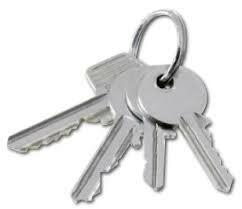 So to get a spare key which you will keep with a neighbour to be used only in emergency, or to get a spare key for a family member which will be used on a daily bases, come to a trusted and relied upon locksmith Sheffield key cutting service. A poor cut key, in poor quality can land you with all sorts of issues, wear and tear on the lock due to damaged caused by a roughly cut key. Or even worse, the key might snap in the lock due to poor quality, rendering it un-lockable and un-useable. So make sure that you come to a swift locksmith Southampton experienced key cutter for your high quality, precision cut and guaranteed to last keys! One common scenario which we meet with here is a customer calling us for help regaining access to their home. At Swift locksmith Southampton we see that at times circumstances place people in the stressful scenario of being locked out of their own house. What we have also noted is that most of the time it’s due to things somewhat out of their control. They’ve lost their keys, their neighbor who holds the spare key to the house is out of town, and they are in need for something either work related in their home, or in need of caring for their children, or something else which simply cannot wait. This is why our team here at Swift Locksmith Southampton are always making sure that we are ready for your call. There is always someone available on our line, and we will always make haste to minimize your stress and inconvenience due to the situation. One of our team will arrive at your site, fully equipped to handle any type of lock out situation before you even know it. And at Swift Locksmith Southampton we guarantee that you will find yourself back inside, safe and sound in a swift manner. The emergency service is always available, no matter the time of day or what day of the year it is, so should you ever need us, give us a call! We also keep all regular spare parts for repairs, as well as high quality modern locks ready for replacement installation if needed. Speak to a specialist security locksmith Southampton service to ensure that your home security is where it needs to be, to properly provide the protection needed at your property. Making sure that your family is safe and that you can sleep tight at night without worries of home intrusion. If you have already got your home security sorted and approved by a professional, why not make sure that you take action, involvement and help your street become more aware of the current risks, as well as making sure people also know the benefit of keeping an eye out for each other. If you know the people who live on your street and in your close proximity, ensuring that you have good relationships and a good sense of community, you will also be able to help each other recognise when someone who does not belong in your area enters. Of course the swift locksmith Southampton service is not aiming to make you paranoid, and think that every visitor is a burglar, however, just to raise the awareness of the current climate and keep aware and alert. And if you are in need of a home security survey performed by a specialist, or if you know someone who could use it, why not suggest the swift locksmith Southampton service, as the trusted and long running, experienced and excellent security surveyor service to them. You can call at any time and book in at flexible times to ensure that your home has the right and proper protection it needs. It may sound obvious, however, one of the most efficient ways of keeping safe and secure, is to simply keep attentive, and recognise if there is anything out of the ordinary in and around your property. Of course it’s not a security means on its own however it can greatly help you to a better way of security thinking. On top of that, a locksmith Southampton service would also suggest that you keep good relations with your neighbouring inhabitants, and keep an eye out for each other as well. Especially those who live in homes which have clear view of your property, as they will have a good perspective from where they are to aid in your security. For a locksmith Southampton team this is the best way to keep good security in and around your property. If you keep an eye out for your neighbours, they will do the same for you. And with good communication and good relationships, you will also be able to notify each other should you ever go away for a longer period of time where an extra watchful and attentive eye can be kept on the empty property. For the answer to your security questions, you can always get in touch with a swift locksmith Southampton provider who knows the in’s and out’s of home security and is always on the ball trying to promote good home security habits and great community security awareness. Feel free to give us a call at any time. Thinking about home security, often stereotypical images come to mind such as big security bars, gates with codes and cameras etc. However this is no longer a true image of what home security may look like today. There are currently many new products on the market to keep your home safe from intruders which doesn’t only provide you with the security needed, but also fits well into the style and design of your home. The first point of security for any home is of course to make sure that there are proper locks on your door, many of which today comes in a great modern style, and if you are in need of new locks, please feel free to get in touch with an expert locksmith Southampton lock installer who knows the way around the current market and available products. With us you will be able to find a lock which is perfect for your home, your style and your budget. Should you be in need of a security inspection or alarm installation, you can call us, and speak to one of the lovely dedicated team members today, where you will be able to find advice in what might suit your style and your practical preference, as well as get answers to any questions that you have with regards to your home security. Something which is, and seemingly will always happen is the loss of items which we use in our day to day lives, the most common example of this may be the keys. And a tip from a locksmith Southampton service provider is to … and keys in the drawer. Imagine that when you land back after a long days of work, you hear the door close behind you and you feel a sense of familiarity. The jacket goes on the hook, the shoes get’s exchanged for the comfy slippers and your keys go in the drawer, and the night is now yours. The key element here for the locksmith Southampton team giving this tip is the routine, the habit, or some may even class it as some form of ritual. However, if your aim is to make sure that you run less risk of losing your keys, and spend less time in agonizing search for them, well this is one method which is a good idea to start using. 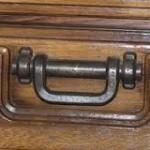 The reason a locksmith Southampton would recommend a drawer as opposed to a the other common key hook, is the availability and view of the key hook for those looking for an opportunistic moment to get a hold of your keys. And since a range of different surveys have shown shocking statistics on how much time we spend in search of our keys, there may also be a benefit of saving that time for other less stressful activities than frantic and sporadic key searching. Regardless of using this type of method to keep track of your keys, chance does at times have it in ways leaving you chance-less, and if circumstances clash and you find yourself without access to your home and need a locksmith Southampton emergency lockout service, you can always get in touch with us at the time of emergency. We’re always open to be there when needed, and help is on the way in an instant! And of course if you have any other questions with regards to your keys, locks or home security please give us a call. It may be something not commonly heard of, but getting a security survey for your home or work place may be highly beneficial to you. This is something that the expert locksmiths here at locksmith Southampton would recommend to anyone who has a business investment that they want to protect, or a property in which they and their family reside. This not as to only keep the ones you love safe, but to keep your economical investments in belongings and work secure. Here we can help make sure that you are in line with the security standards of your insurance policy, should you ever fall victim to harsh circumstances. On top of that at locksmith Southampton we are flexible and respect your time, meaning that we can arrange for a security survey to be performed at your premises at a time that suits you. We understand that during the regular working hours it may not always be possible to find the time for appointments, which is why we are happy to arrange for a meeting during evenings or maybe in the weekend when there is no need for your to rush. In the security survey, one of our team members from locksmith Southampton will be able to give you tips and simple methods of deterring potential intruders. On top of that we will be able to help you locate security weaknesses in on your property and give honest accurate advice, based on our experience, of what could be done for improvement. 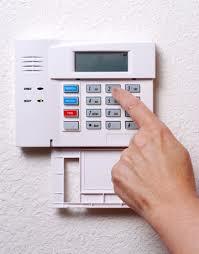 So make sure you are up to date with your security today and don’t hesitate to get in touch. Have you ever had any thoughts on the security of your home or business? Is there anything at all you are worried about or that you wonder about? Why not put your mind at ease, and get in touch with us here at locksmith Southampton and arrange for a security survey. We are happy to arrange for a time that is suited to your schedule, and if it’s not possible to do so within regular working hours, here at Southampton the team are highly flexible in our approach and we are happy to meet with you at a time of your convenience. A security survey with locksmith Southampton does not have to take long and it can be of great benefit to you, your home, your business and your peace of mind. One of our highly knowledgeable and friendly team will come to your premises and critically evaluate the area, the property, the security measures in place and much more. After this evaluation, the advice which you will get from locksmith Southampton, will include anything from small tips to improve on things, ways to deter potential intruders as well as recommendations to how you can best protect your home or your business. 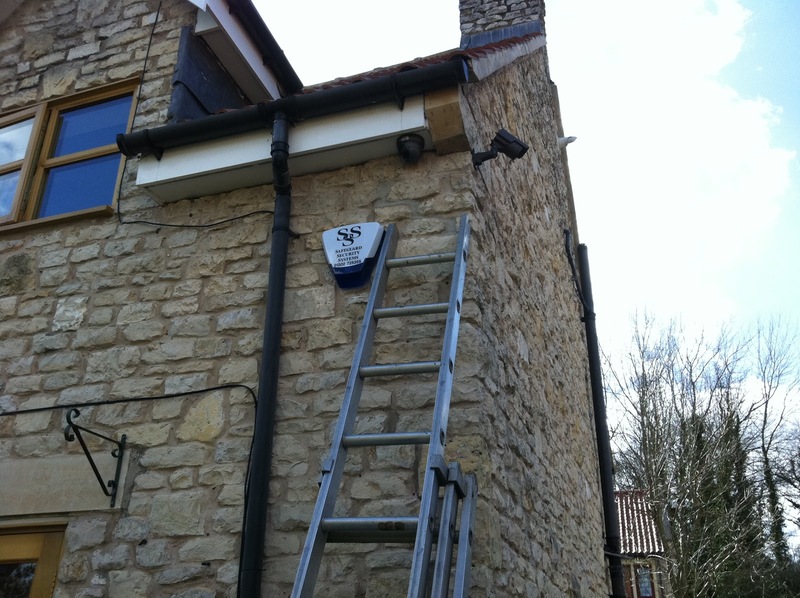 When it comes to the cost of having a security and alarm system installed, it’s something we have seen changed over the last decade. There are now many highly secure, and good value for money products on the market, meaning simply that a safe and secure home, or keeping your business investments safe does not have to cost a fortune. At locksmith Southampton we have many products in store ready for installation so get in touch today, to see what we can do for you. If you are looking at locksmith services in the local area, you will not be able to find a better choice than locksmith Southampton. With having ran as a local service provider, and as part of the community for countless years, the team here feel that we are a part of the local scene. Our team is also made up of local individuals, many how have lived in this area for their entire lives which brings us even closer to that community feeling. If you get in touch with one of our friendly team members here you will be met with the warmest smile and the best service. This due to the fact that we care for our customers, and see them as a part of the community we operate and live in. One of the major reasons we find such pleasure in our work, is that we get to speak to people, individuals who share the same background as ourselves. And with it, we at locksmith Southampton feel that we instantly have a good understanding to where our customers come from when they ask a us something. We really care for our customers here, no matter the size of the job which is to be done. At Southampton we have all the commonly used keys in stock for instantaneous precision key cutting, so if you are ever after an extra key just come directly to branch and we’ll be able to help you straight away. Should you have a more unusual lock, or a custom made one, the majority of the times, we can order what we need here at locksmith Southampton, and most commonly you will have your new spare key in your hand within days of the request. As we value our customers time as well as appreciate that keeping financial balance in today’s word can be quite challenging, which is why we do our utmost to keep a swift professional service, but also a friendly one. At locksmith Southampton we are competitive with prices to make sure that you get the best value for money as well. The time to upgrade your old fashioned insecure lock to a modern, strongly made and highly mechanically advanced lock. Make sure you get in touch with one of the team members here at locksmith Southampton. 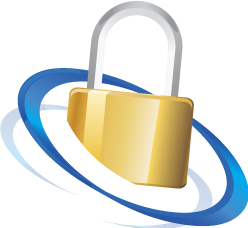 We will make sure you get the lock which is right just for you. Not only in that you will be guaranteed a lock in strong materials and of excellent quality, but also in style. At locksmith Southampton we take pride in how regularly we check the new available products on the industry market. As this leads us to be able to provide the best products for our customers, and it leads us to have a good overview of what trends are coming and going. With a constant watchful eye on the market, at locksmith Southampton we can see what type of products both supply the highest quality of functionality and security, and the most stylish looking designs. At locksmith Southampton we understand that there are many different type of materials available on the market, and it can be confusing for anyone who is looking at a new lock. The team here also understands the confusion industry jargon can create when trying to make a decision on what to get, which is why we are happy to lend a hand, and give our recommendations in line with a style you like. Locksmith Southampton guarantees that this will be something that will make that detail in your home, or maybe your office look just great. No matter where you are looking from, the outside or the inside. Get in touch with someone who is up to date on the industry market if a new lock is in the pipe line, get in touch with us today and be sure to get a sense of style as well as a fully fledged and secure lock. In a high paced evolving world, where we now have many different technologies which replace work which used to be done by people, the workers here at locksmith Southampton sees that that often humanity is taken out of the equation of providing services which are needed. This is exactly the reason why we love our work. We have the traditional feeling, of people, and providing a personal service to our local community. At locksmith Southampton we have that face to face interaction with our customers which is so important to be able to find work satisfaction, and bring value to what we do. And when we say interaction, we mean not just giving answers based on a script, but really listening to our customers, and providing advice based on our long experience in the industry. At locksmith Southampton we do have the rewarding privilege of caring for people, and being able to share our expertise and knowledge within the field of security, locks and anything else you can think of on the matter. At locksmith Southampton we see that the best way to be able to provide the overall best service and products, it’s by loving what we do, and wanting the best for our customers. 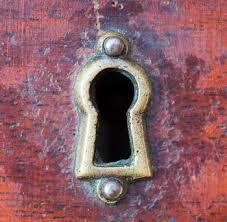 So if you have a need, query or question for us at locksmith Southampton. Just get in touch, we are happy to have a chat and share our educated recommendations to anyone who needs it, regardless of who you are or what service or product you are looking for. So call us in Southampton with your questions today! The weather is so lovely outside now, the sun has graced us with its presence, bringing everyone outside and into activity. At locksmith Southampton we understand that there is a general wish for the summer to continue, and many choose a late summer holiday to get the most out of the year. It’s a great idea to go away, often suiting with the schedule of schools if you have children, and catching that last bit of sun and energy for the winter to come is important. Unfortunately there is another thing that locksmith Southampton would like to take a short moment to inform you about. If you are planning to go away and leave your home without residents for a longer period of time it may be noticed. With this type of situation the risk of falling victim to theft or home intrusion becomes greater. 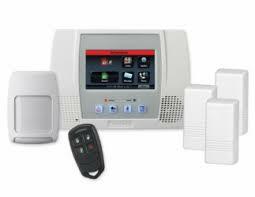 We have a range of affordable and effective alarm systems that can help keep your home safe whilst you are away. 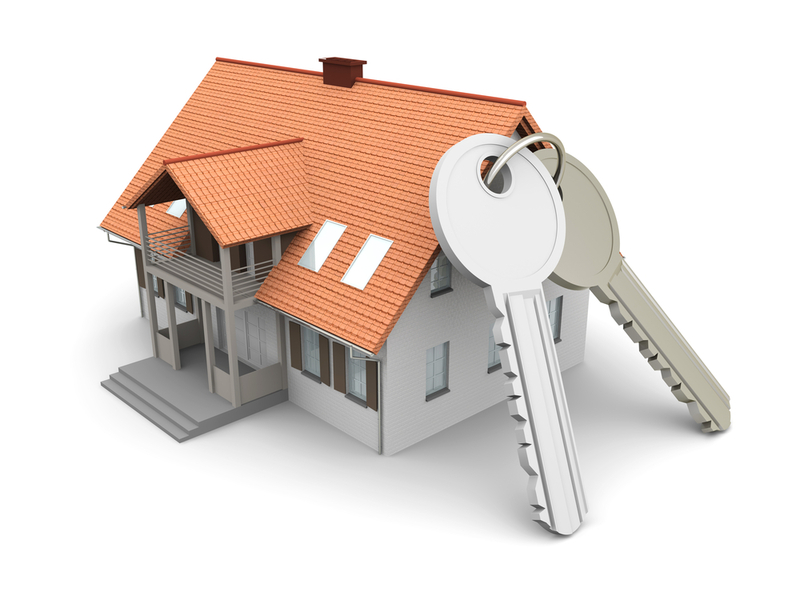 Our experienced team can also help you in giving tips of potential security threats to your specific property. So get in touch and speak to one of our lovely and friendly team at locksmith Southampton to make sure that you have a relaxing holiday and to avoid any unwanted surprises upon your return. Leave your security concerns to the experts here at locksmith Southampton. Something that can happen, which is often outside of the mind is the situation where someone finds themselves locked out of their own property. This is why locksmith Southampton recommends to keep their number close by, as we do provide an emergency service for these types of situations. Looking your key is something that easily happens, after all you do carry it with you most days, and most everywhere you go. At locksmith Southampton we also understand that sometimes circumstance makes it so that it’s not possible to gain access via the spare key which many people leave with a friend or family for this type of occasion. One reason that is quite common is that the key snaps in the lock of course this is not something that is easily prevented, even if a good strong quality key would minimize the risk, these things still happen. But if you make sure you keep the number for locksmith Southampton close by, we will be able to help you regain access to your home in record time. If the season is right and the time causes burglaries to go up, it may be a good idea to give some extra thought to your home security, and in this video you will be able to find some decent tips and tricks and some good examples of methods in which you can easily make your home safer and more secure for the holiday season. And should you be in need of an expert swift locksmith Southampton provider to perform a security survey on your house, please don’t hesitate to get in touch with our friendly, helpful and wonderful team today! When it comes to anything locks, or with regards to home or business security there is only one service provider you need. Use locksmith Southampton, and be guaranteed the best in each area every time. They provide smaller services, like key cutting if you need a spare key or if you are looking to install a new lock to any door in your house. They also provide more extensive services, and perform security surveys, identifying any potential threats to the security of your home or business. With a highly dedicated team who are always up to date with the latest industry products and standards. Locksmith Southampton is sure to provide you only with the best quality in products, as well as service. So if you pay the branch a visit today, or give them a ring you will be met with the friendliest and most flexible approach to whatever your query may be. In the area of locks and security locksmith Southampton are experts, and will be able to advice you no matter what your circumstances are. So if there is anything on your mind with regards to the security of your own property or place of business, get in touch with us today, and make yourself as safe as can be. Many companies state that they care for their customers, however at locksmith Southampton we often feel like it’s more than just caring for the service we provide. But giving our best and honest opinion on what type of security solution would actually work best for the people who visit us with inquiry. We care for our local community, and as a local business we want to make sure people are safe and protected. The best way we know how is of course though education, and our team at locksmith Southampton are always updated on the latest news of products and technologies that are coming out and in how to install them. We also share information, experiences and drawing on our long history in the industry. At locksmith Southampton we are a team of dedicated individuals who are happy to help anyone in need of advice on security, and if you are planning to get one of our affordable, in store, ready for installation, alarms running, please get in touch, and let us take care of the technical parts. We are experts in everything to do with security, and we are sure to be able to provide answers to any questions you may have in the area. When it comes to regular door locks the products available on the industry market are always changing and updated with the latest in technological advancements and lock engineering. Of course the team here at locksmith Sheffield are always keeping up to date with the latest innovations and the technologies behind them, and in this way, always making sure to be able to provide and install the latest and most secure locks to your home. We go one step further here at locksmith Sheffield, as the security industry is progressing we’ve also seen the affordability of alarm systems becoming better and better. For locksmith Sheffield there was a time when installation of an alarm system was something not that common, but these days there are good affordable solutions which are tailored to each individual. 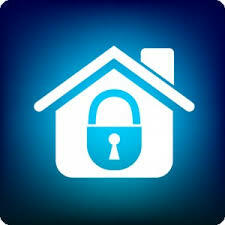 This means that you can keep your family and belongings in a safer way, and leave you to relax more and worry less. So why not speak to one of our friendly and educated staff today. Locked yourself out of your home, office or car? Not a problem. Locksmith Southampton will get to you within the hour, and best of all, there’s no call out charge! Whether you’re after a more secure type of lock, or you’ve been broken into and need a lock replacing quickly, no matter what its type or size, Locksmith Southampton will get the job done with no fuss or delay, to give peace of mind at minimal cost to you. Rest assured, the fast, friendly reliable service at Locksmith Southampton will always be there in your hour of need. We even cater for something as simple as a new set of keys, and offer a full range of quality services, at great prices, leaving you to choose the right deal for your circumstances We promise to always try to get the best price for you. 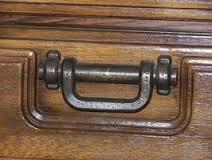 Here at Locksmith Southampton know about the stresses and fast pace of modern life. We know how much of an inconvenience a lockout can be, that’s why we promise to reach local customers within the hour, ensuring as little disruption as possible will be caused to our busy customers’ routine. Most of the time, a faulty lock can just be replaced. However, at Locksmith Southampton, we’re always prepared for every eventuality, and know that in some cases, access to a lock cannot be gained by normal means. This happens for example when a key snaps in the barrel, rendering the lock useless. That’s why, in cases where a lock cannot be accessed , Locksmith Southampton will endeavour to use non destructive entry methods first. We know you respect your property, so of cousre we do too. At Locksmith Southampton we know security is of paramount importance to our customers. We realise that as technology advances, we have to adapt to ensure maximum security and protection for you and your assets. Using the latest technology, methods and tools available to get the job done properly, your security is our priority. The Southampton team, are always looking to stay one step ahead of the game. Our quality locks are almost entirely theft proof, meaning you lock up at night as secure as can possibly be, and all for an unbelievably low price. At Locksmith Southampton we guarantee you a service of unrivaled quality. We will not be beaten on professionalism, efficiency or quality by any other locksmith. The Locksmith brand is a brand you can trust. The distress and inconvenience caused by a lockout means most people will take the first quote that comes their way. However, with our price promise, we guarantee to match, if not beat other quotes, so try us first! Stuck with old, outdated locks? No more! Locksmith Southampton will gladly fit brand new, anti snap locks to your commercial, residential or industrial property. We guarantee to fit your property, whatever its type, with the safest, most up to date security locks, including all doors, safes and windows. I have heard that Locksmith Southampton is a professional service. I knew about their service, their prompt response and quality work, but never needed to call them. But recently I had a problem when I needed to call them to come and rescue. I came back from the gym and realized that I have forgotten to bring my belongings that also contained the keys of the house. Since it was very late, there was no possibility of returning there to get my stuffs, I needed to call them to come and rescue from the problem. They are professionals with expertise in their field. Locksmith Southampton is always there to help. They are fast and professional. Locksmith Southampton ‘know-how’ to solve the lockout problems and have the expertise to offer every time there is a call from the customers. Locksmith Southampton offer great service to the customers. They always reach on time and have solution to deal with all the problems. There are no locks in the market that they cannot open. And there are no keys that they cannot duplicate. 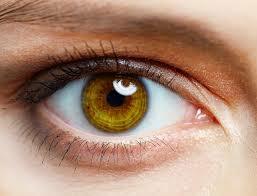 They are qualified professionals and have hands on expertise in their areas. It’s good to know they are available 24*7 for 365 days a year. Lockout problems can happen anytime and always need prompt service. But the Southampton team works throughout the year and are always reachable. Locksmith Southampton works on all day, even when other service providers are not working. They are always reliable and can be reached easily Locksmith Southampton work on weekends and also on bank holidays. They are be always contacted. 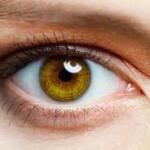 They have an online presence and their business website has the contact details for easy reach. Locksmith Southampton not only comes to help and rescue, but also sympathizes with the problem of their customers. After their arrival when they found me tensed, they empathized with me and also tried to cheer me up. It was great to see the professionals at help and they were quickly able to open the door for me to get in again. Locksmith Southampton can be recommended for their service. They can deal with any kind of lockout problem. They can open any kind of locks using the latest technology. And they are proficient in duplicating all kinds of keys. 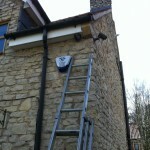 They are quick, fast and professional and can be contacted for any lockout problems.